Price Improvement! VIEW, VIEW & VIEW! This AWESOME David Weekley City Home faces Blue Jacket Park and Lake Baldwin. 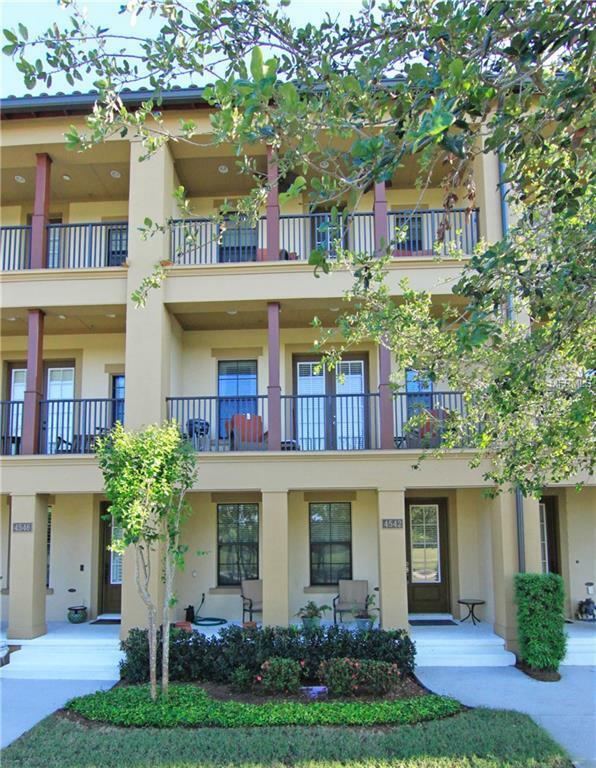 Located in the heart of Baldwin Park, this three-story the porches on every floor. This Mediterranean City Home is short walk to Grace Hopper pool & gym, schools and all the New Broad Street events, dining and shopping in the Baldwin Park Village Center. Two balconies offer great outdoor enjoyment! Home has all the latest in design touches such as a bright cabinets, wood floors and transitional cool colors. The main floor has a massive gourmet kitchen with granite counter tops and stainless-steel appliances. The Firenze floor plan has the largest kitchen of any 3-story townhouse plan so youll have plenty of room for entertaining friends and family. Newly built and packed with Energy Saver features like double pane windows, zoned HVAC, and Energy Star appliances. The Baldwin Park townhouse lifestyle lets you Live, Work, Walk and Play without worrying about all the outside home maintenance! Come see the VIEW from the family room balcony on the second floor and the Amazing View above the trees from the Third floor balcony!!! Listing provided courtesy of Magnolia Florida Realty Llc.